Recognized for the unrecognizable — a Carthage College professor’s software has won an Academy Award for what viewers can’t see in a film. 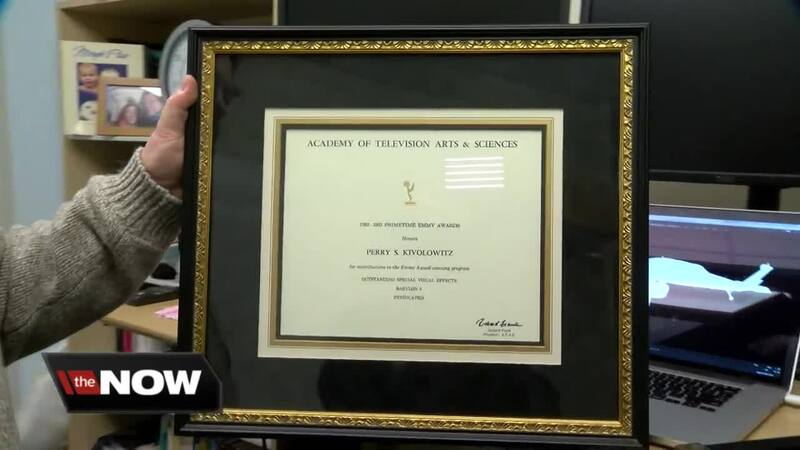 KENOSHA — Recognized for the unrecognizable — a Carthage College professor’s software has won an Academy Award for what viewers can’t see in a film. “Talking about what you don’t see, so let’s take a look at 'Avatar,' ” Perry Kivolowitz said. You may not be able to tell the technology Kivolowitz, a computer science professor at Carthage College, helped invent was used in "Avatar," and that’s intentional. The results of the software, known as SilhouetteFX, are designed to be invisible. “None of the people on 'Avatar' had glass on their masks,” Kivolowitz said. But SilhouetteFX makes it look as if they do — manipulating images during the post-production of a film. “If you don’t do it exactly the same way on each frame, the cure is worse than the disease; human beings will pick it up immediately,” Kivolowitz said. That’s why it’s considered a success when viewers can’t tell a film has been altered. This year, five films that used the visual effects software co-written by Kivolowitz are Oscar nominated — including “Avengers: Infinity War." “For the people that work in my field, this is the Nobel (Peace Prize), this is the Presidential Medal of Freedom, everything rolled up in one,” Kivolowitz said. This isn’t Kivolowitz’s first Academy Award. He was recognized in 1996 with an Academy Award for Scientific and Technical Achievement, and his contributions to “Babylon 5” earned him an Emmy certificate in 1992.